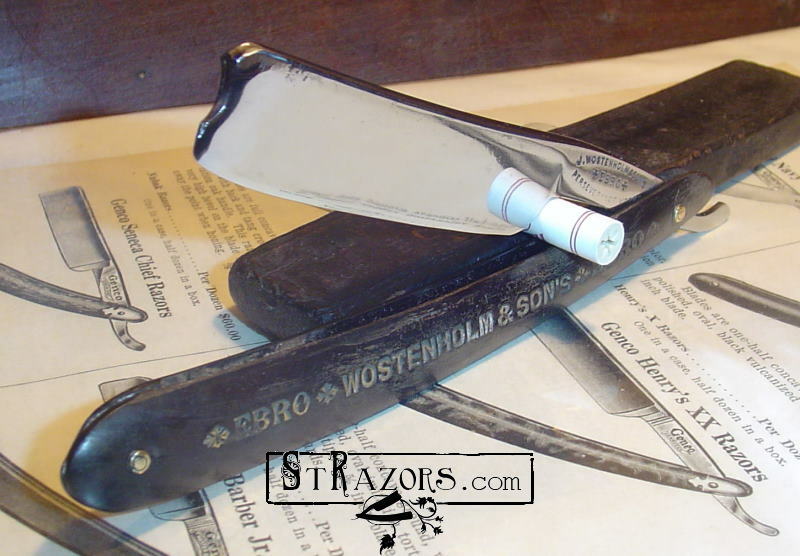 STRAZORS.com - all about classic razors - Joseph Wostenholm & Sons, Sheffield. Joseph Wostenholm (c.1813-1876) was listed in 1837 as a razor manufacturer in Eyre Lane. Originally, the name appears to have been spelled as “Wolstenholme”. The next directory listing was in West Street in 1841. In that year a Joseph Wostenholm, razor manufacturer (and tea dealer), late of West Street and residing occasionally in Clerkenwell, London, was declared insolvent. Joseph Wostenholm was listed later, however, as a razor manufacturer in Steelhouse Lane (1845) and Rockingham Street (1849). In 1856, Joseph Wostenholm & Sons advertised as a manufacturer of razors and cutlery in Leicester Street. Four years later, the enterprise was operating from Meadow Street, where besides making razors the owner was running a beer house. In 1857, Joseph was bankrupt. By 1863, the firm was operating from Perseverance Works in Penistone Road and Wostenholm’s son, also named Joseph, took over. One corporate mark was “2565”. Another was the word “EBRO”, apparently granted in 1773, and acquired by Joseph Wostenholm in the 1860’s. 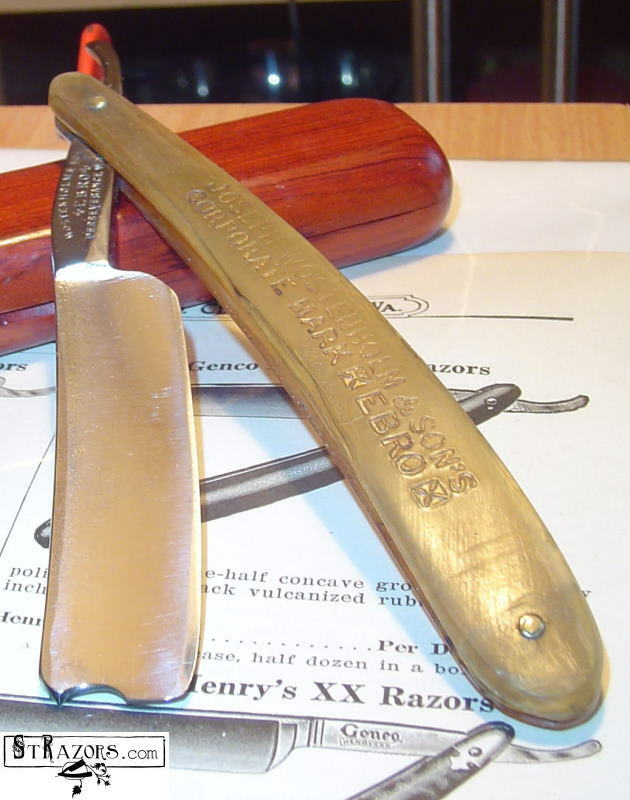 In 1868, the firm advertised as a razor and table knife manufacturer. The founder died on 30 April 1876. By the end of 1904, Wostenholm’s trade was negligible and the assets were sold to Adolph Kastor. In about 1906 legal action was started by Geo.Wostenholm Company "against certain persons styling themselves as Joseph Wostenholm & Sons Limited of Rivington Works, Sheffield" for the manner in which they were using the name of Wostenholm. The 1907 annual report indicated that negotiations were proceeding on the basis of Geo.Wostenholm & Son's claims and costs being allowed. The 1919 Sheffield register lists the EBRO mark as belonging to Adolph Kastor. Note: There is no spacer between the handles on either Joseph Wostenholm razor!